Andy Samberg (L) and Sandra Oh (R) are shown in this undated file photo. 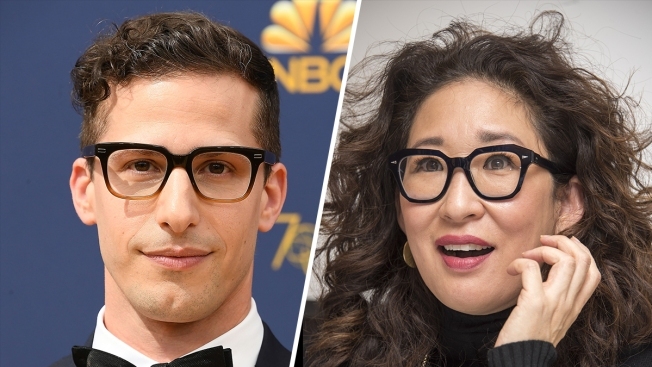 It's official: Actors Sandra Oh and Andy Samberg will co-host the 2019 Golden Globes. Oh, star of the critically acclaimed BBC America drama series "Killing Eve," and Samberg, "Saturday Night Live" alum and star of the NBC comedy "Brooklyn Nine-Nine," are both Golden Globe winners. The Globes serve as the official kickoff to the 2019 awards season. Winners in 25 categories — 14 in film and 11 in television — are voted on by the Hollywood Foreign Press Association (HFPA). Meher Tatna, president of the HFPA, said the organization is "excited to welcome" the new co-hosts to the annual event stage. "Both Golden Globe Award recipients have continually showcased their talents in film and television, and we can’t wait see what their undeniable chemistry will bring to the Golden Globes stage," Tatna said. The 75th Golden Globes were hosted last year by Seth Meyers, host of NBC's "Late Night" and another former "Saturday Night Live" writer and cast member. 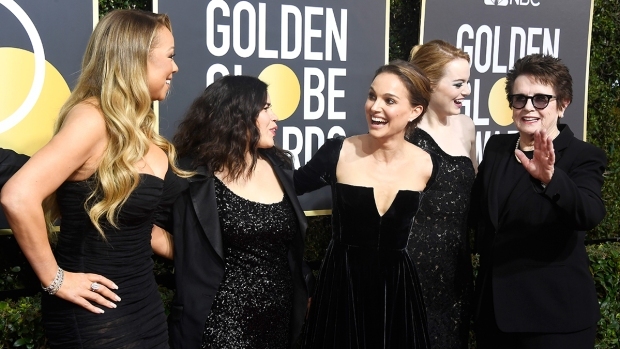 The 76th Annual Golden Globes will broadcast from The Beverly Hilton in Los Angeles and air live on NBC on Sunday, Jan. 6, at 8 p.m. ET/5 p.m. PT.